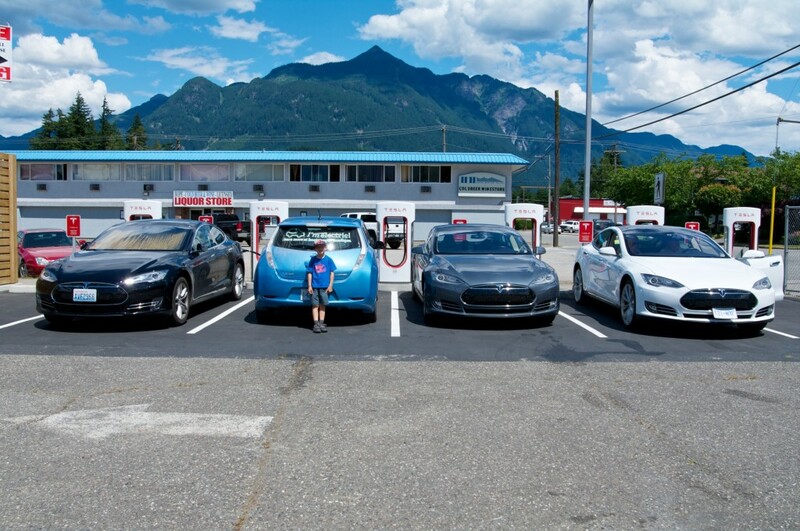 Back in Hope to top-up for the 10% we had used to get to the tunnels and back, we decided to check the Supercharger again – this time 3 Tesla Model S cars were there! Plates from California, Washington and BC. We chatted with the couple from BC for a few minutes before continuing to Abbotsford.